Facebook, Amazon, Netflix and Google have enjoyed a significant stretch as tech leaders. But is the tide beginning to turn on their reign at the top? From Facebook’s ongoing legal woes, to a new battle waged on Apple by Spotify on behalf of rising innovators, to OpenAI who is looking to democratize AI innovation in an effort to compete with the likes of Google and IBM, tech giants are starting to feel the pressure knocking. Today’s tech market remains dominated by a handful of top players. Almost half of all e-commerce occurs on Amazon. More than 70% of all Internet traffic goes through sites owned or operated by Google or Facebook. But America’s tech giants are beginning to feel pressure to shake up their place as market leaders. From new advancements in AI regulation, to a rise in antitrust complaints, to startups and competitors infringing on the market, the long-standing tech towers may be starting to sway. Google faces yet another lawsuit in the EU, while Elizabeth Warren calls for the breakup of these oligopolies. Meanwhile, Facebook continues to face legal and internal woes in its move toward private messaging, in the face of ongoing scandals. These very public struggles are potentially leaving room for new competitors to step up. These charges have started piling up as the EU moves to better enforce existing antitrust laws. Many feel, however, that the current playbook may still not enough to keep companies like Google in line, encouraging policymakers to consider revisions in order to better address. Meanwhile, Elizabeth Warren, who recently announced her bid as Democratic Presidential candidate, is working to put measures in place that would break up some of the big tech firms in the US – including Amazon, Alphabet and Facebook. In fact in a Medium post, Warren highlights the point that an antitrust case against Microsoft in the early days of Internet competition helped pave the way for companies like Google and Facebook to emerge in the first place. With little room for competition, venture capitalists hesitate to fund high potential startups in the space for fear they will be swallowed up or stamped out by the giants. While Warren’s position may be considered extreme, across the board antitrust laws and government regulation of AI and tech innovation are receiving increased attention. The FTC has created a new task force aimed specifically at examining potential antitrust violations in tech. Antitrust suits aren’t coming only from politicians and government bodies. 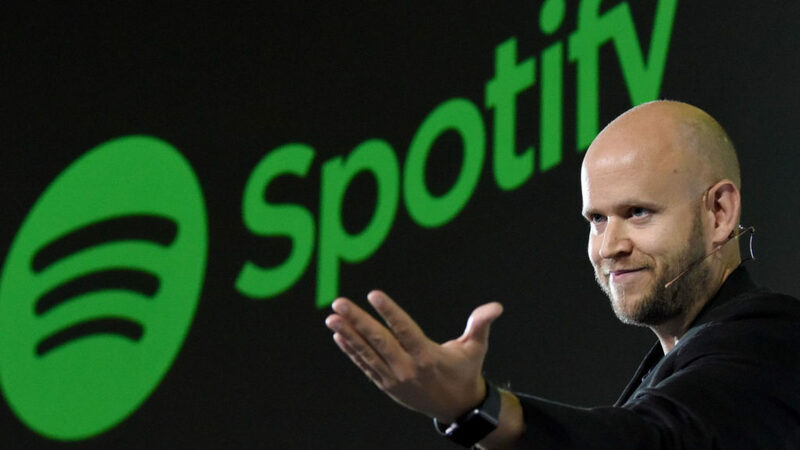 Spotify recently filed an antitrust complaint with the European Commission against Apple – specifically the App Store – over its so-called “Apple tax,” the 30% cut the tech giant takes on purchases made through Apple’s payment systems. Ek goes on to say that if Spotify has to pay this tax, “it would force us to artificially inflate the price of our Premium membership well above the price of Apple Music.” If they choose not to use Apple’s payment systems, “Apple then applies a series of technical and experience-limiting restrictions on Spotify.” These include limiting their communication with customers and locking them out of Apple services. This essentially leaves the music streaming company in a precarious position that may end up hurting the consumer in the end. Spotify’s accusation makes it clear that the goal of the lawsuit is not simply in the interest of the brand itself but in the interest of all players in the field. Ek and his team hopes to nurture a healthy ecosystem and bring to light unfair advantages like this one which tech giants continue to impose on any companies operating in their community. The initiative was developed in response to another stronghold currently enjoyed by major tech companies: a monopoly on talent and resources. With the majority of impactful AI innovation coming from privately held companies, it’s up to them to bring the world the latest in AGI. The OpenAI team feels this innovation should not be tied to profit-seeking giants. Companies like OpenAI, and legal action like that taken by Spotify and the EC, are putting pressure on the oligopoly currently enjoyed by America’s tech giants. The recent merger of Disney and 21st Century Fox threatens the reign of Netflix as the media giants fight to maintain power. As we chip away at their market stronghold, and open doors for AI innovation to reach the hands of up-and-coming innovators, we may see a very different tech landscape in the coming years. Those looking out will keep an eye on the players that begin to rise from the dust and steps taken by these giants as they fight to remain in power.